Description: Louis L’Amour has been best known for his ability to capture the spirit and drama of the authentic American West. Now he guides his readers to an even more distant frontier—the enthralling lands of the twelfth century. Warrior, lover, and scholar, Kerbouchard is a daring seeker of knowledge and fortune bound on a journey of enormous challenge, danger, and revenge. Across Europe, over the Russian steppes, and through the Byzantine wonders of Constantinople, Kerbouchard is thrust into the treacheries, passions, violence, and dazzling wonders of a magnificent time. 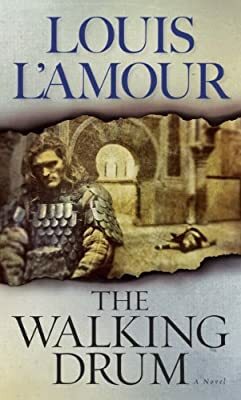 From castle to slave galley, from sword-racked battlefields to a princess’s secret chamber, and ultimately, to the impregnable fortress of the Valley of Assassins, The Walking Drum is a powerful adventure in an ancient world that you will find every bit as riveting as Louis L’Amour’s stories of the American West.